The development of Sony's upcoming PS5 games console has reached an important new stage: almost all of Sony's first-party games studios are now completely focused on PS5 games production, having been redeployed from their work on PS4 titles. The news, which will no-doubt excite gamers the world over, comes courtesy of gaming industry analyst at Niko Partners Daniel Ahmad, who in a post on ResetEra said that, "most of the focus for Sony is on PS5 right now", as well as that "PS5 dev kits are out there" and that "Sony also has a couple of unannounced games (already existing IP)" where "there have been discussions around making them cross gen/next gen titles." Those comments tally closely with the latest PS5 release date reports that Sony's next-gen console is now set for a 2020 unveiling alongside Microsoft's next Xbox console, with IDC analyst Lewis Ward recently stating that "2020’s E3 is when Sony and Microsoft will be unveiling their new systems". To us here at T3 what is most interesting about Ahmad's comments, though, is the reference to "cross gen" titles being under consideration and, potentially, in production right now. Games like GTA 5 have shown that cross-console generation releases can be very successful, so we don't think it is too much of a stretch to ask whether big upcoming titles that seem destined for PS5, such as Death Stranding, could actually see life on PS4 Pro, too. 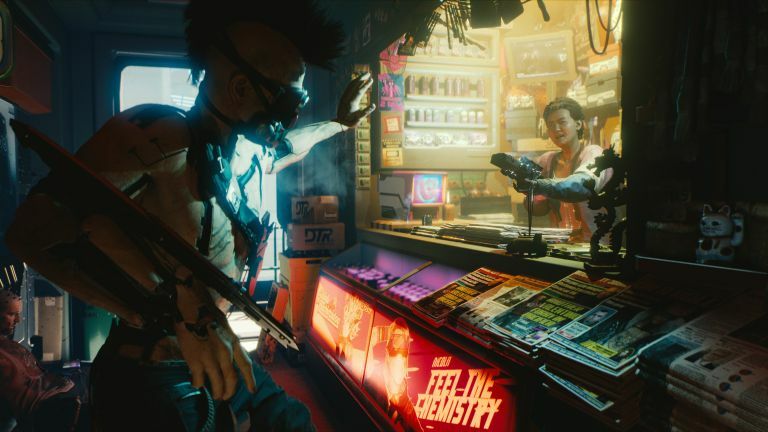 This obviously isn't likely going to be possible with every game – for example, the multi-platform game Cyberpunk 2077 from CD Projekt seems way in advance of what the current generation of consoles could handle well – but it could see many much-wanted games actually released this generation and sooner than anyone expected. Right now, though, nothing is official. What is for sure, though, is that those rumours about PS5 dev kits being in studio hands and incredibly powerful seem to have been accurate, with Ahmad's comments syncing perfectly from insider comments from last December that stated that, "most devs already have dev kits for ps5 ( Spoiler: It’s a monster), Sony prepping hard for ps5". While Sony has confirmed that is is not attending E3 2019 this year, hopefully we will find out more about the company's official PS5 plans soon, with whispers of a late-2019 teaser reveal currently multiplying at speed.